A late afternoon chat over coffee followed by hush hush calls and numerous pings exchanged on whatsapp in the midst of work. The inference- Dipanwita is finally going for Range Trek- Ratangad to Harishchandragad (R2H) and not Lo-Bhi (Lonavala-Bhimashankar). Both being absolutely besetting range treks, I was utterly confused however, the decision was made. R2H it is. These mountains have swished the magical wands of their prodigious beauty and majesty, I just can’t resist their pull anymore. Well, to tell you the truth, I have forgone the desire to resist. The idea of going on a range trek was conceived long ago. As usual, I chanced upon the plan of R2H on Trek Mates India’s website while surfing through their itinerary for Lo-Bhi and rest is history. 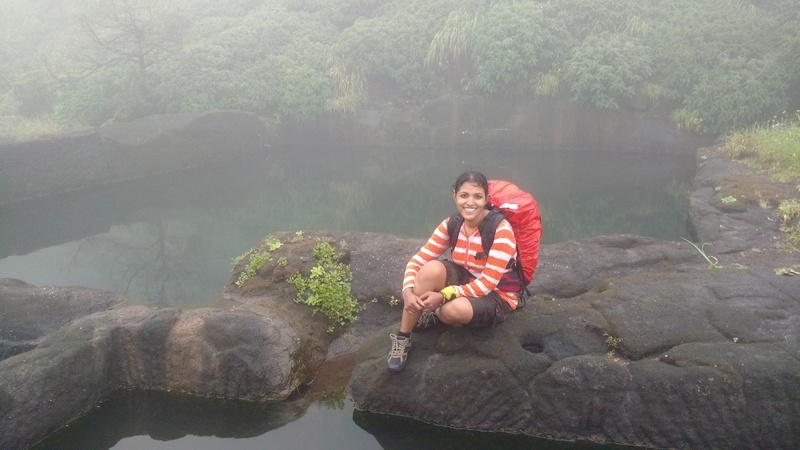 Lo-Bhi remained unchecked and R2H checked from the list of must-do range treks. 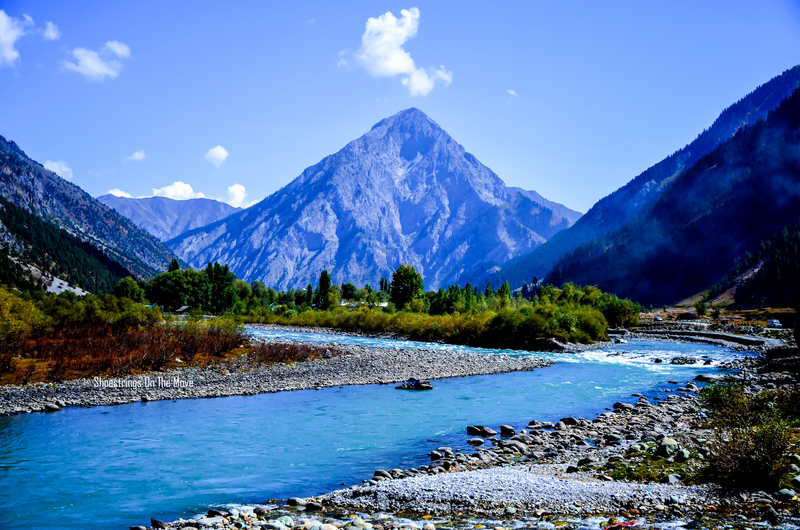 Range treks are treks which cover a part of a mountain range within a span of 2- 10 days depending on the range and distance that needs to be covered and the difficulty level. 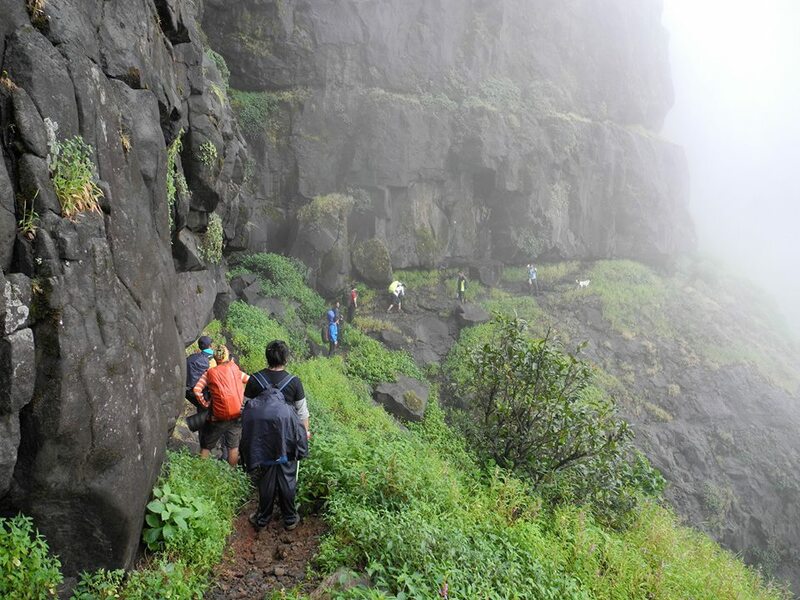 There are numerous range treks that can be done in the Sahyadris, The Western Ghats in Maharashtra. Going for a range trek is every trekker’s dream. 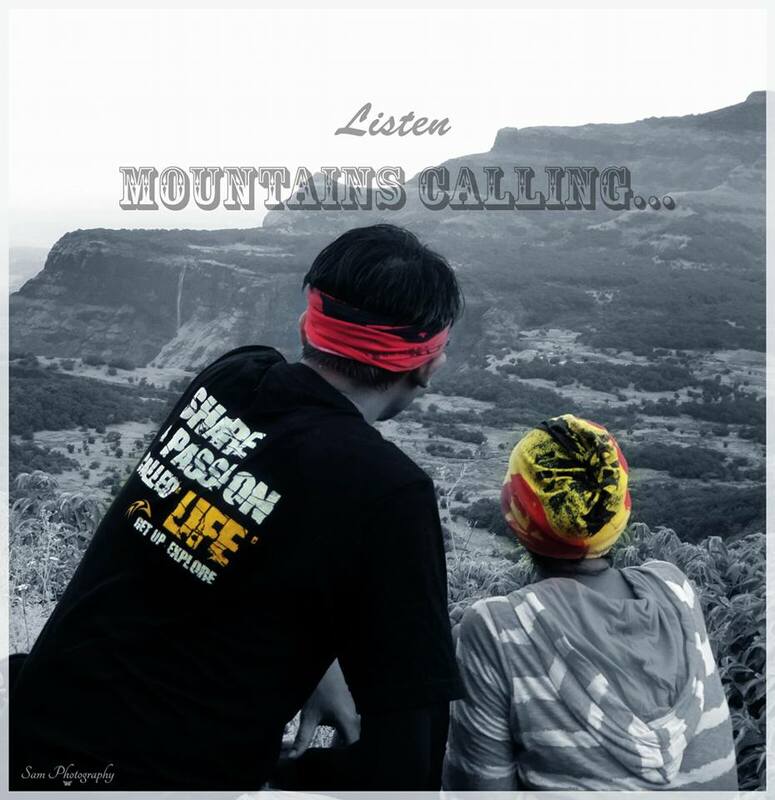 Range treks demand to push your limits to umpteen levels, lays one’s minds on thick, experience beauty of the nature as each layer unfolds it’s ambiguity and appreciate the statuesque of each mountain with history and glory of it’s own. It is an experience which stays with you for life. 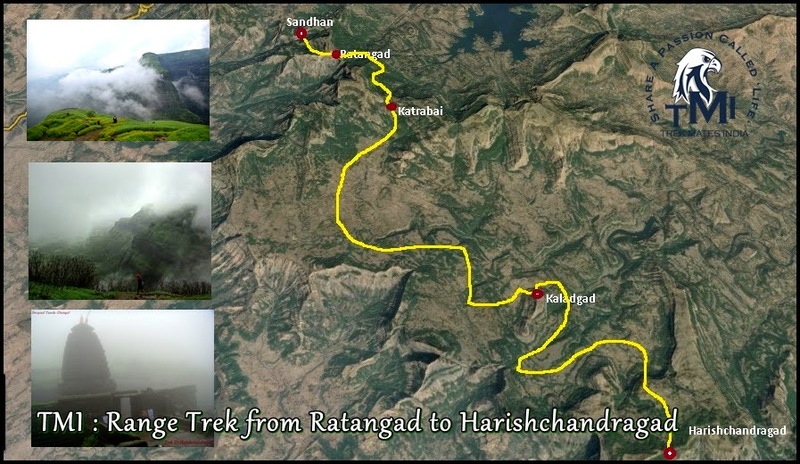 R2H (Ratangad to Harishchandragad) is done over a span of 3 days. 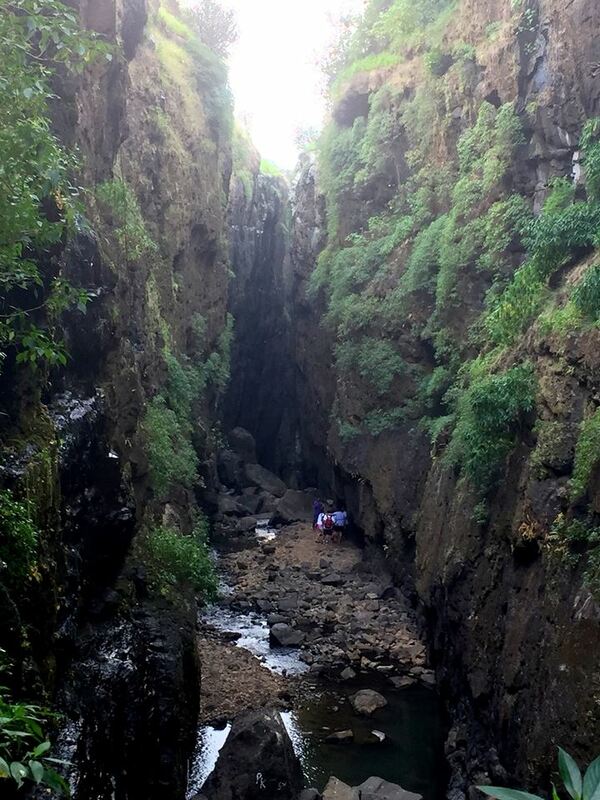 Covering Sandhan Valley’s Kokankada- Ratangad via Trimbak Darwaza- Katrabai Mountain Pass-Harishchandragad. Super- excited for my first range trek, I just couldn’t sleep the previous night, anxious at the thought of not being able to wake up on time. I hardly got to sleep for 2 odd hours and woke up at the first sound of my alarm, which is very unlikely of me. As planned, we were to board the early morning Kasara local that starts from Mumbai’s Chhatrapati Shivaji Terminus Railway station at 5:00 AM. 18 fervent people started Friday early morning with all smiles and glee in the eyes despite of having being sleep deprived. And, the range trek fervor made people go out of their way to catch the Kasara local. 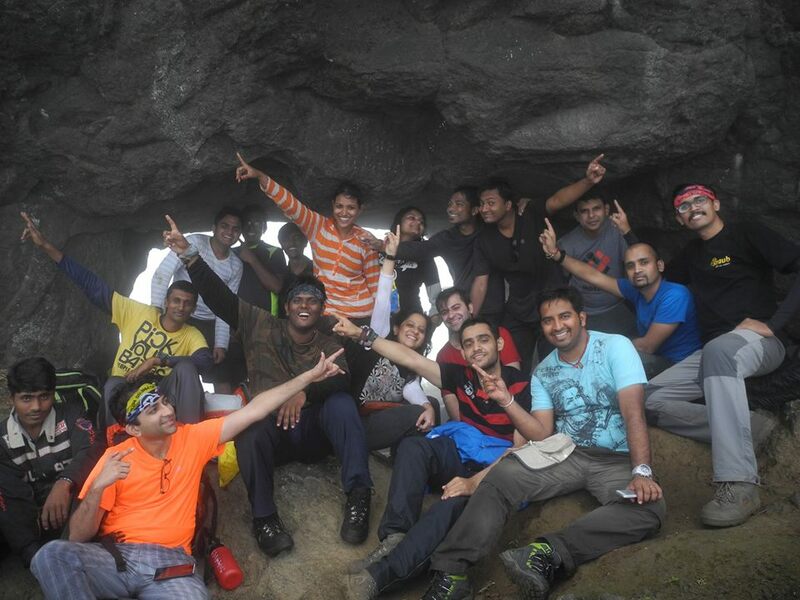 Sanket Chalke and Varad Shengde were our trek leaders. Radha, Anand and Sachin managed to miss the train. Radha and Anand missed it in the twinkling of an eye. But, the very next minute Anand called to inform they were successful in boarding the train. Both Radha and Anand had jumped into the train when it came to a halt just before the end of the platform due to some signal issues. Sachin, on the other hand boarded Bhusawal Express from Thane and planned to join us in Kalyan. A big thank you to the guard of Kasara local, who made the local halt for an extended time till Sachin alighted from Bhusawal Express and boarded Kasara local at Kalyan. Trekmates started their adventure long before the actual trek had begun. On reaching Kasara, we got into the pre-booked vehicles to reach Samrad. Breakfast en-route Samrad at the famous Baba-da-Dhaba. After a 1 ½ hours’ long drive, we reached Samrad, located in Bhandardhara region. The sun shone high and bright without showing any mercy on us. 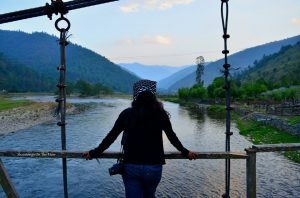 Very well prepared for the tan and sun-burn, we started off to explore Sandhan Valley – The Valley of Shadows along with kokankada after TMI’s signature straight circle introduction round. 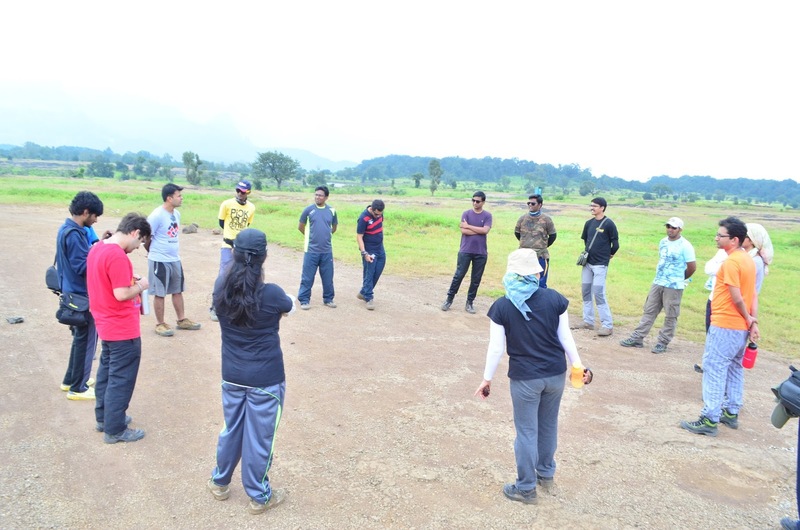 All participants were experienced trekkers except one, Himanshu, the youngest of the bunch, from IIM Indore. 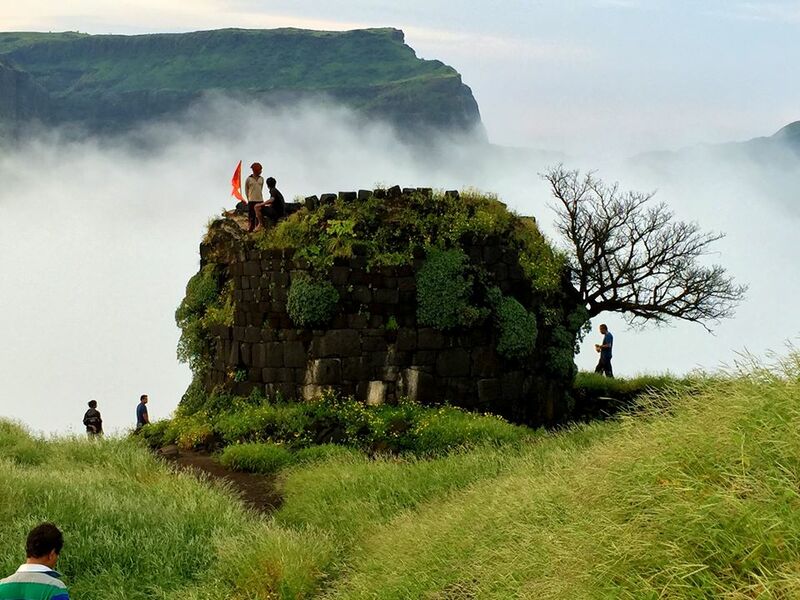 Sandhan’s Kokankada offers splendid view of the mammoth Sahyadris from Ratangad to Alang-Madan, the twin forts. It was green as far as our sights could reach. Between the greens, there were patches of yellows and purples too. The Sonki (Senecio grahamii) made splash with its mass blooming. 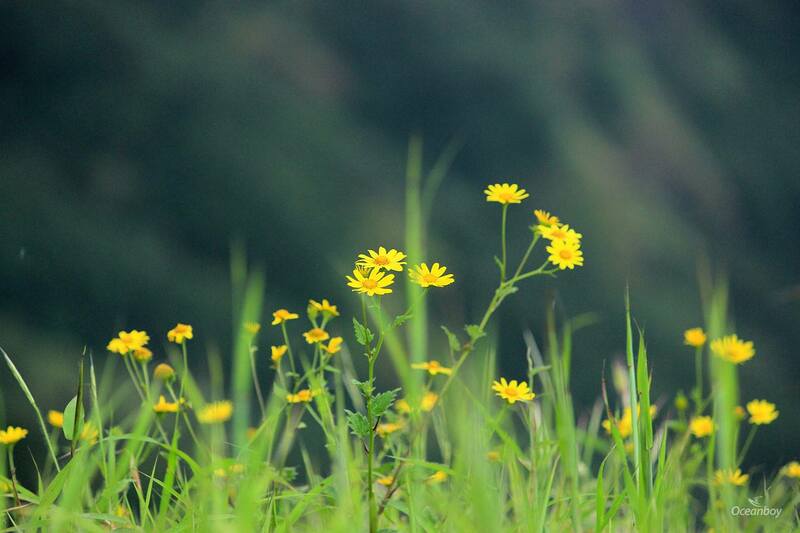 Infact, the entire Western Ghats, famous for its rich bio-diversity is covered with various species of flowers at the advent of monsoon including the likes of Sonki (Senecio grahamii) and Karvi-Topli (Pleocaulus ritchiei). Karvi-Topli flowers bloom only once in every 7 years. We were lucky to witness them this season while descending from Harishchandragad. 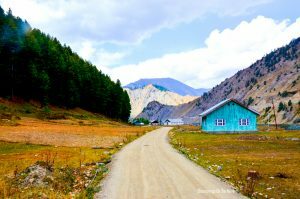 While we were still at Sandhan’s kokankada, soaking in the beauty of the valley, the blues of the sky started altering colors. 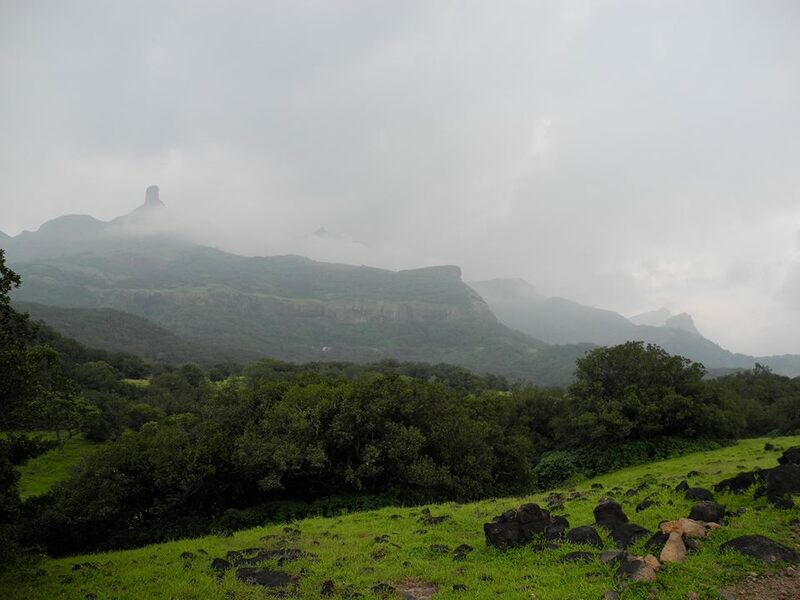 Far away, the peaks of Ratangad, Ajoba range and Alang-Madan were completely covered with thick blanket of clouds. And, we heard the ultimate call of the clouds. Thunders. We could sense it nearing us. With drizzles bringing the temperatures to slump, we felt blessed and prayed that rains accompany us for rest of the days too. We returned to Samrad, had lunch and started for Ratangad at 2:00 PM. 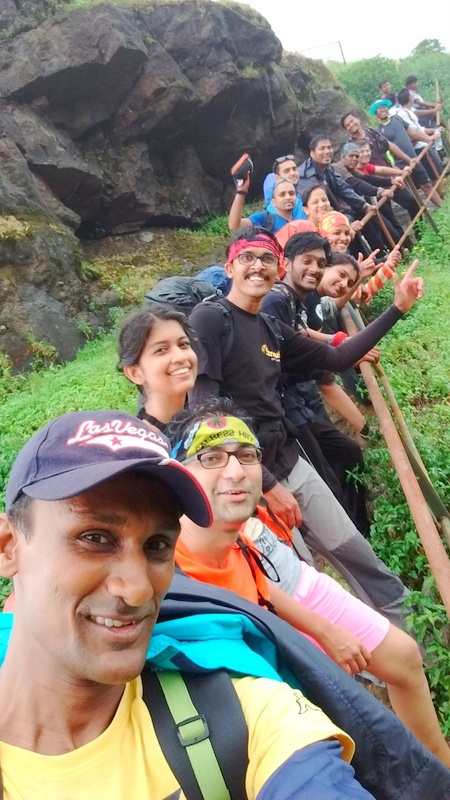 Sanket indicated that it was imperative that we reach Ratangad by 4:30 or else we wouldn’t be able to explore the fort due to rains. 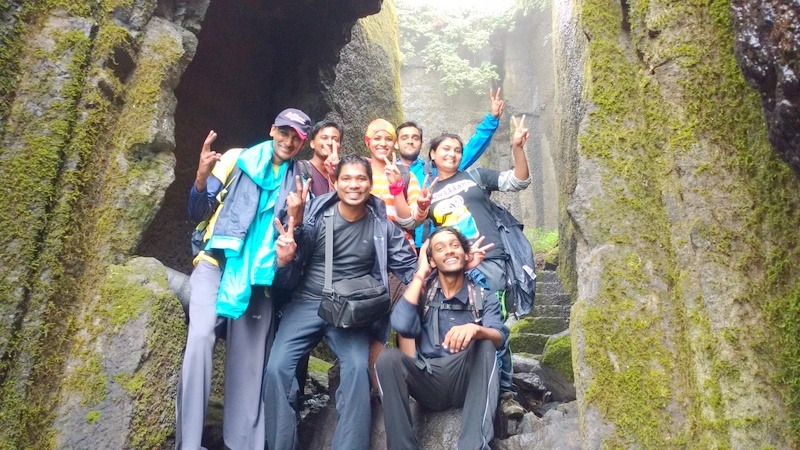 When asked our local guide, Yuvraj whether we could reach Ratangad by 4:30, he replied in Marathi with a broad grin, “Lavkar chalel tar pahuchnaar” (If they walk fast, we would reach). Everyone concurred. Ratangad, also called the “Jewel Fort”, is located in Ratan Wadi, Maharashtra in the Bandardara region. The fort is believed to be 2000 years old. The fort is the origin of river Pravara, also called Amrutvahini. The famous Bandadara dam is built on this river. The fort has a natural rock peak with a cavity at it’s top, termed as “Nedhe”, meaning “Eye of the Needle”. The cavity formation is due to natural erosion. There are 4 gates to the fort namely, Ganesh, Hanuman, Konkan and Trimbak. 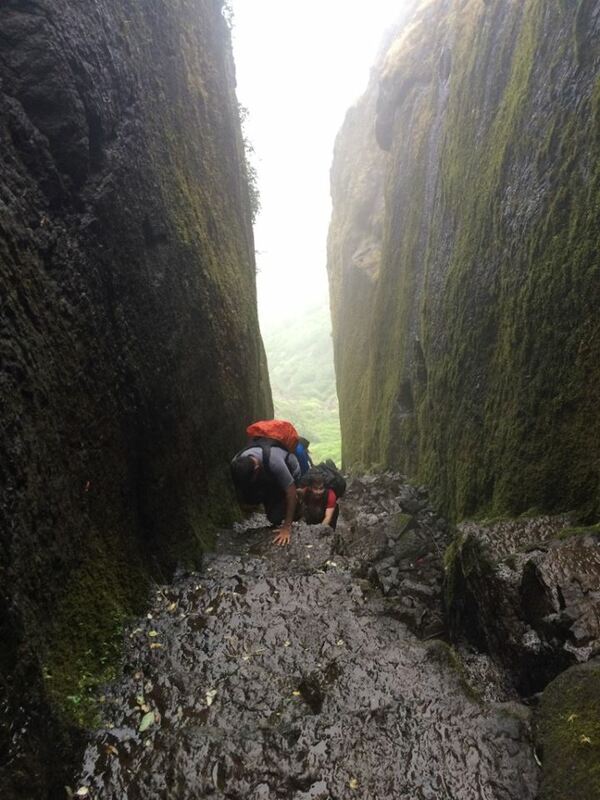 We were to reach Ratangad through Trimbak Darwaza route. 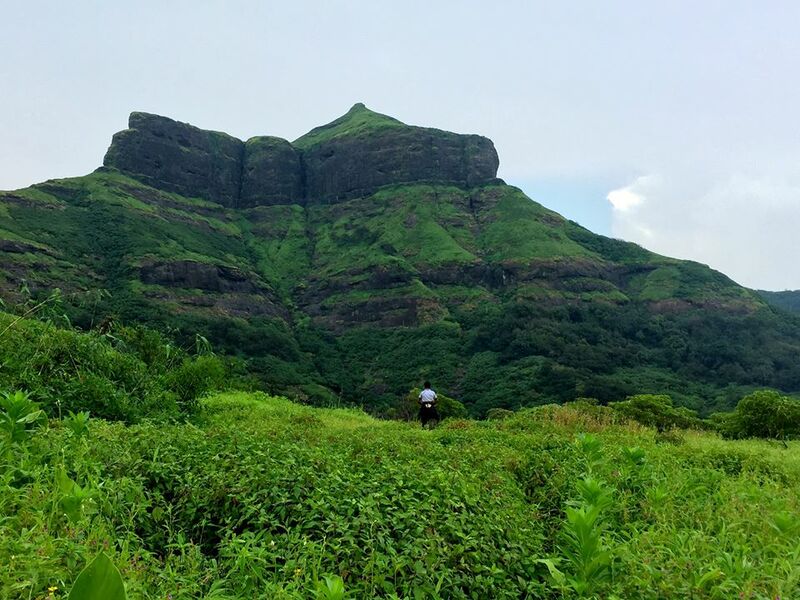 The ascent towards Ratangad was steep and the route covered with dense forest. 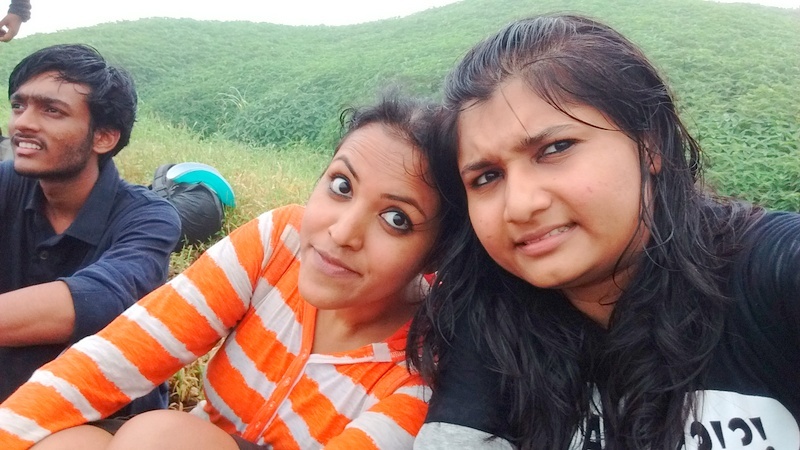 We were coaxed to fasten our steps with the temptation of being served special lemongrass tea at Ratangad. 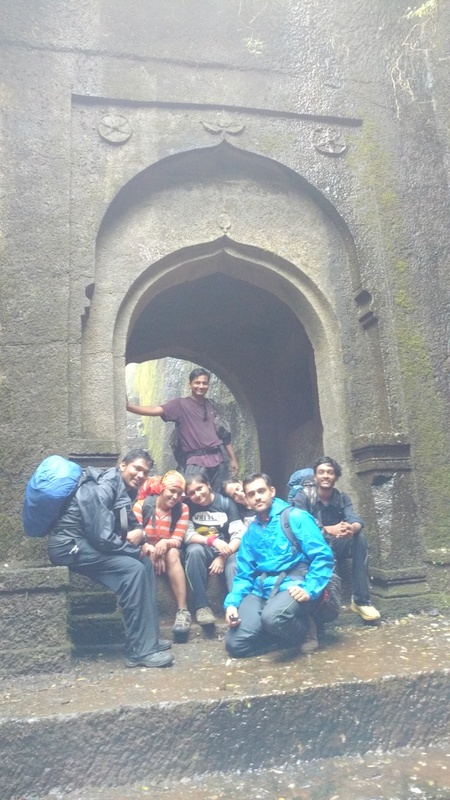 After numerous photo-session breaks along with much needed water and Glucon-D breaks, we finally reached “The Trimbak Darwaza” and entered Ratangad precisely at 4:30 PM. The next break was at the “Nedhe”. 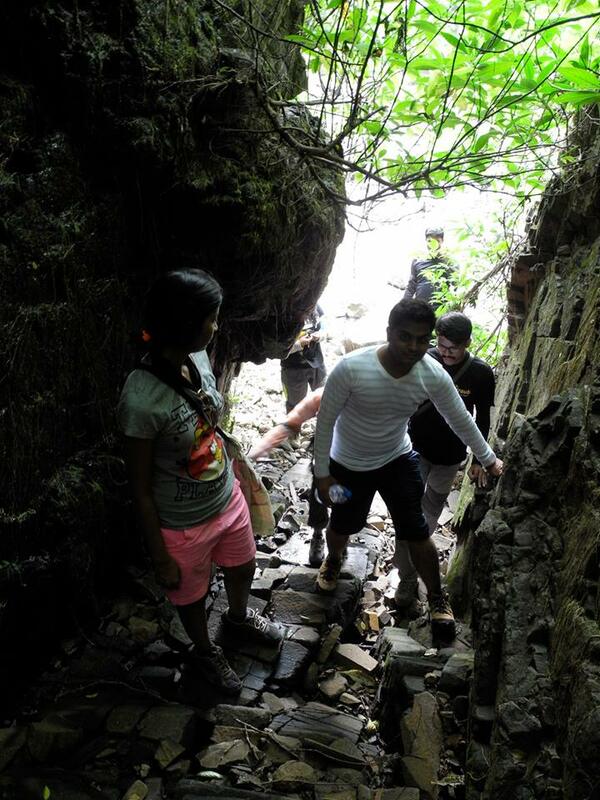 Descend from Nedhe leads to the cisterns, the only source of drinking and cooking water on Ratangad fort. The path ahead leads to “Rani Mahal”, which gives a mesmerizing view of the entire valley below. 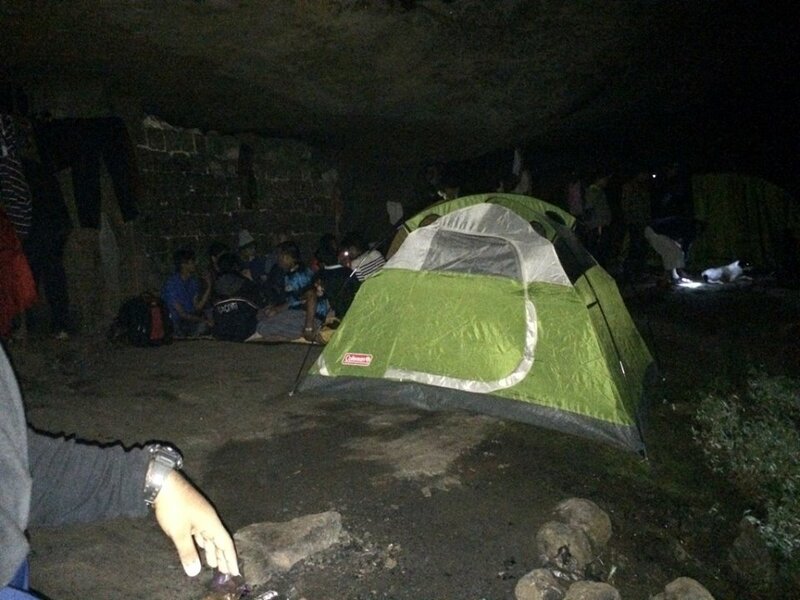 The night spent in caves with dinner followed by Dumb Charades madness. Wake up call was decided to be at 5:00 AM. The account on Day 2 covered in next post. Must have been so exciting! Enjoyed reading! 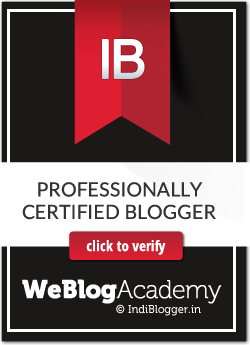 You have turned to a very good writer… Njoy ur life to fullest …Adventuresome.. Yes. 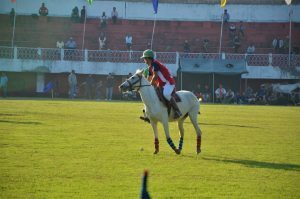 It was a fantabulous experience altogether. Thanks a lot Shirish. Do keep stopping by and dropping your comments. It's much appreciated.